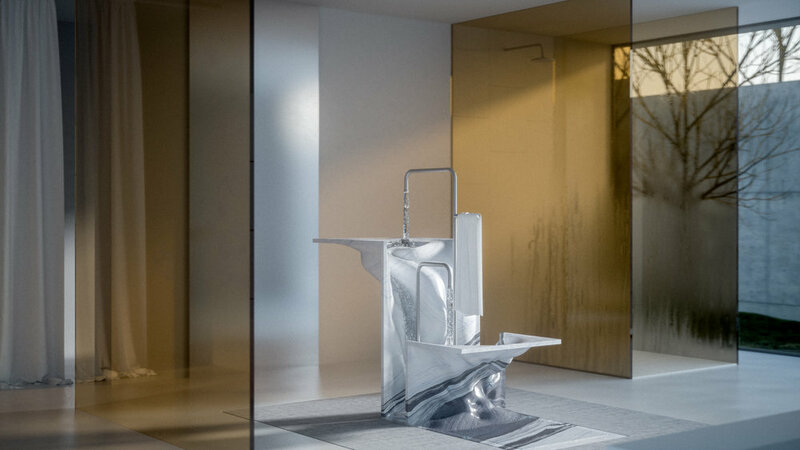 The design of the RIVOLO derives from the sink’s fundamental element : Water. The river, the movement of water serves as a leitmotif. Like a steadily dripping drop of water carves out stone, the flow of water defines the RIVOLO. A unit that exists as a whole, for hand and feet, for big and small. Placed in a spacious bath or wellness area, the RIVOLO stands out of its surrounding to occupy the space as a central element. The Covelano Marble’s structure plays a crucial role in its staging, uniting form and function. 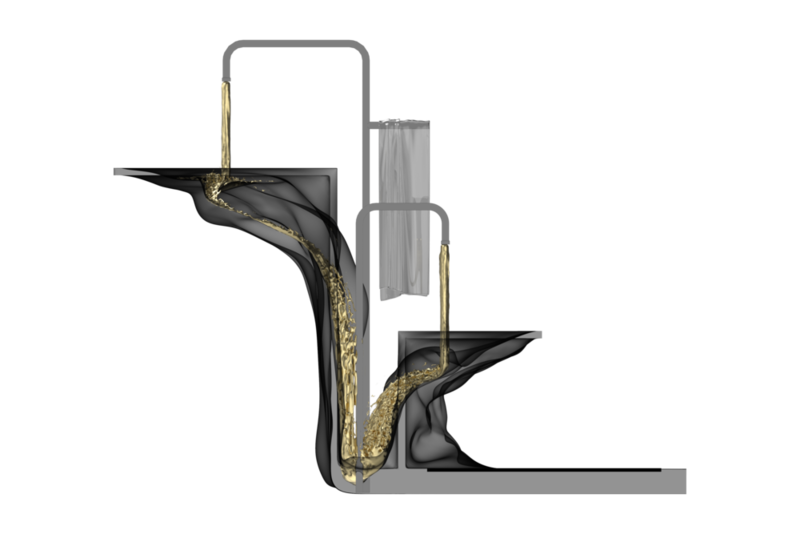 By integrating particle flow simulations in the design to calculate the ideal, splatter-free watercourse, and utilizing structural analysis, the morphology of the object was generated iteratively, resulting in an optimized form of the RIVOLO.